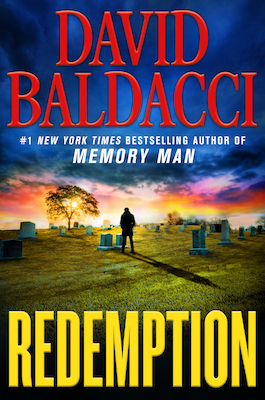 The following is an exclusive excerpt from Redemption, David Baldacci’s newest memory man thriller, which finds FBI consultant Amos Decker back on his hometown turf investigating a series of murders, and questioning the evidence that informed an arrest he made over twelve years ago when he was a rookie homicide detective. A gentle rain kicked in as Decker trudged along the pavement. 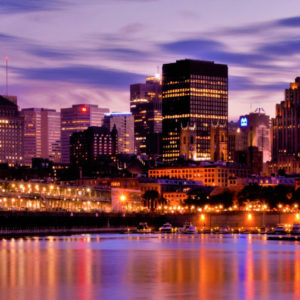 It felt very odd to once more be investigating a crime in his hometown. The last time had involved the murder of his family. This one was different, but it still affected Decker personally. If I was part of convicting an innocent man? He looked around as he walked. He had decided not to come back for Cassie’s birthday, or their wedding anniversary. That simply would have been too much for him to handle. Yet he would keep returning for their daughter’s birthday. He had to be here for that milestone, though each visit was emotionally crippling for him. His long feet carried him past where he was staying, and after a few miles he reached the long-established neighborhood. It was light now. He stopped walking and stood on the corner staring up at the place he used to call home. The last time he’d been here was two years ago. It looked remarkably unchanged, as though time had stood still since his last visit. Although there were two unfamiliar cars in the driveway, a Ford pickup and a Nissan Sentra. As he stood there, a man in his early thirties and a girl around seven came out of the side door. The girl was carrying a school backpack and the man was dressed in khakis and a white collared shirt with a windbreaker over it. He carried a slim briefcase in one hand. The girl yawned and rubbed her eyes. They climbed into the pickup truck and backed out of the driveway. That’s when the man spotted Decker standing there watching the house. “No, I, uh…” Decker’s voice trailed off, and he looked confused. Henderson nodded and looked anxious. “I heard about—” He snatched a glance at his daughter, who was paying close attention to this exchange. Decker turned and walked off as Henderson drove away. It had been stupid coming back here. He’d rattled the guy unnecessarily. And for what? He didn’t need to come here for a walk down memory lane. It was all in his head. Pristine. Forever. He retraced his steps and got to the hotel where he and Jamison were staying in time to see her exit the elevator and walk into the lobby. “Christ, Decker, are you just getting in?” she said, eyeing his grungy, wet clothes. She followed him into the dining area off the lobby. They sat, ordered some food, and sipped their coffees. He put his knife and fork down and finished his coffee. “What are you thinking?” asked Jamison. “Meaning that I made a mistake?” said Decker slowly. “Do I?” said Decker abruptly. She sat back, looking saddened by this comment. As he walked off, Jamison just stared after him, the look on her face one of heartbreak. From REDEMPTION. Used with the permission of the publisher, Grand Central Publishing. Copyright © 2019 by David Baldacci.